Ancient Civilizations has to be my favorite curriculum to teach. I find the ancient world fascinating, with all the different traditions, inventions, rituals, building structures, gods and goddesses. I could probably spend the whole year just focusing on Egypt alone, with its pyramids, their social hierarchy with pharaohs, and interesting process of mummification. I get excited knowing that the information about these civilizations that existed in 3000-1000 BC are still being uncovered by archaeologists today. I love sharing my excitement and enthusiasm about Ancient Civs! What I also love about ancient civilizations is that their unconventional and extravagant traditions and ideas allow for some AMAZING classroom projects! 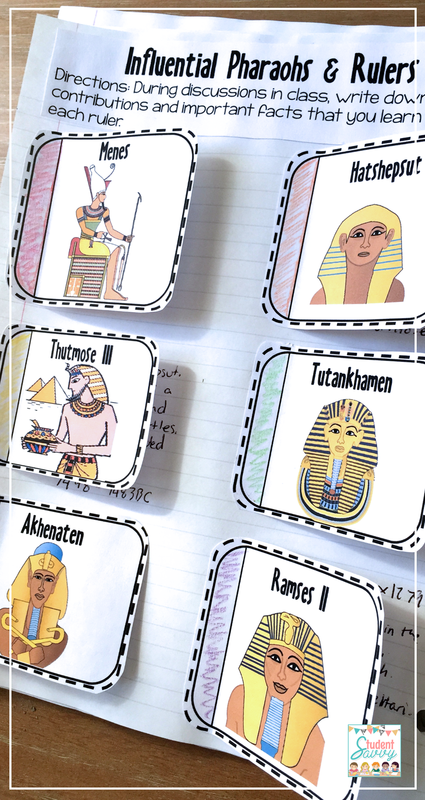 Here is my list of activities and projects I cover while studying ancient civilizations. Anne from UseYourColouredPencils designed these magnificent masks with her students using cardboard, gold paint, and felt markers! They were showcased in a class assembly and were inspired by King Tutankhamun’s famous gold death mask. Discover the full project here. 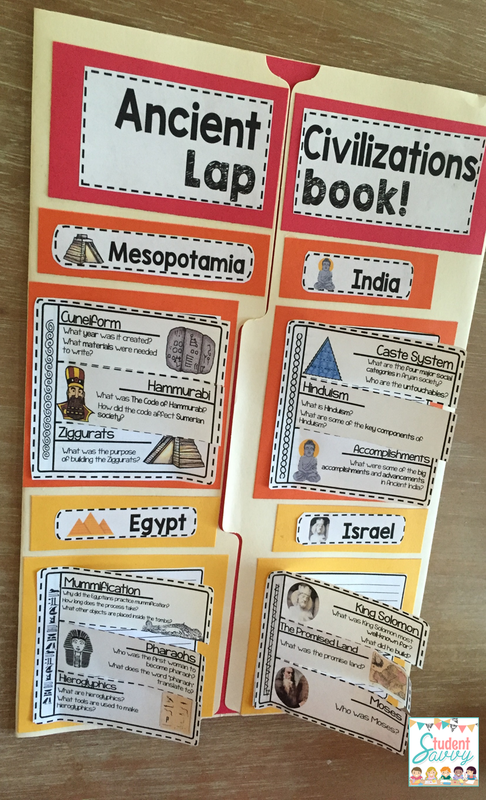 Lapbooks allow the students to have a broad overview of each Ancient Civilization studied. 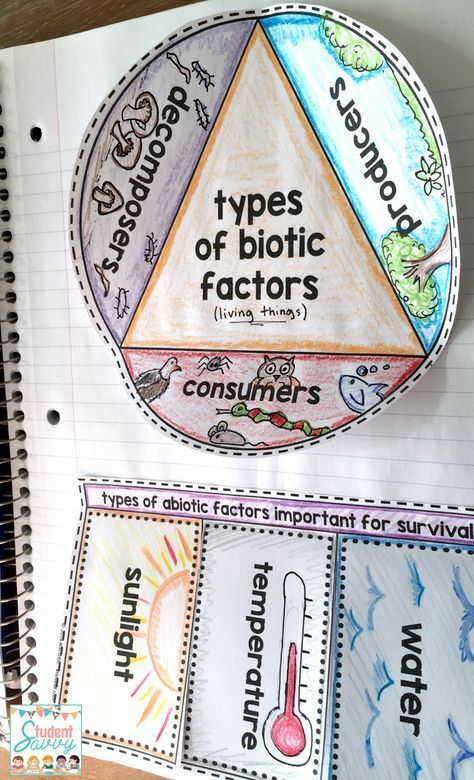 It is a fun, interactive way to review before an assessment and to always have as a study tool on hand. 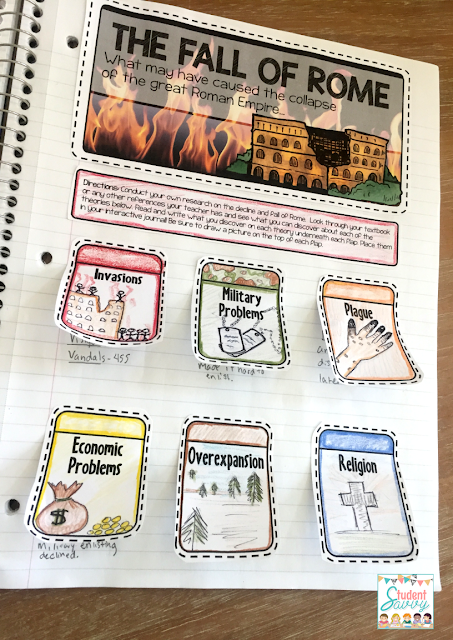 This specific resource is editable, so you can change the text in order to review what students are learning in the classroom. 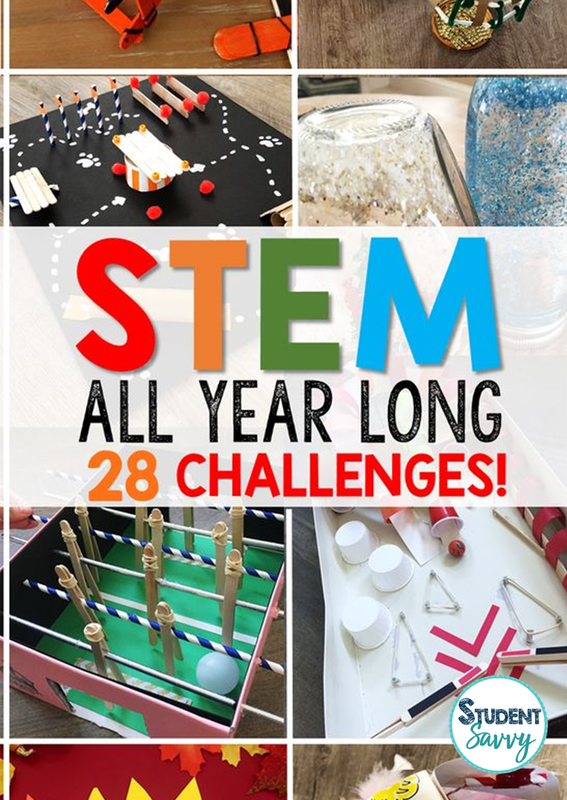 It can also be used as an extended learning activity for early finishers. Read more about this learning tool here. Cuneiform was the very first writing system used by the ancient Sumerians of Mesopotamia. 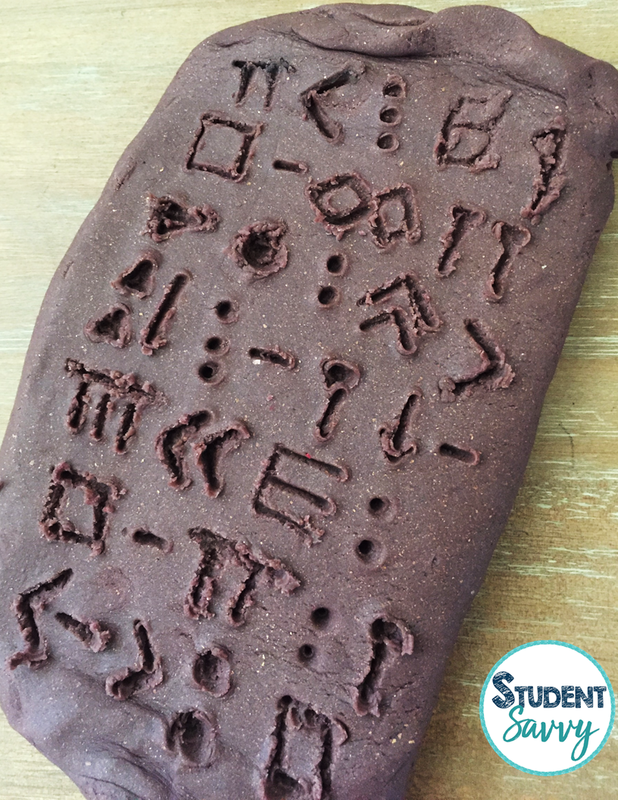 Using clay or model magic, students can learn some of the ancient script while carving symbols into their clay tablets. The earlier script used pictures and symbols to represent words or phrases. Over time, the pictures became shortened vertical and horizontal strokes. As a project, students can create a story and then design a type of Rosetta Stone to translate their message. 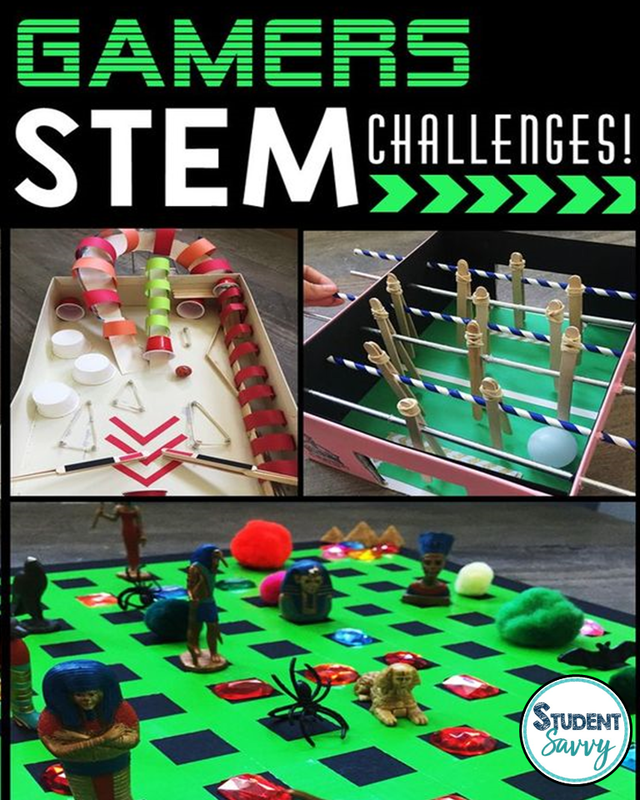 In this STEM Challenge, Students must create their own symbols that represent each letter of the alphabet. They must create an answer key of their symbols that correlate with the letters A-Z. Using a sharp pencil as a stylus, students will carve their symbols into their tablet, creating a coded message. 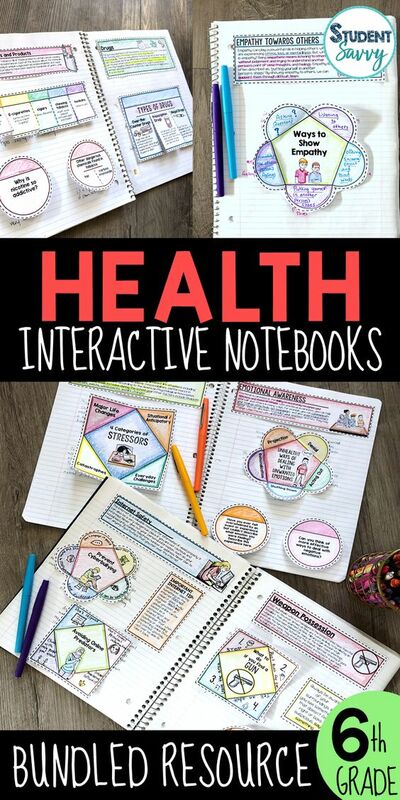 Interactive notebooks are a great way to keep students organize and engaged throughout the ENTIRE school year! 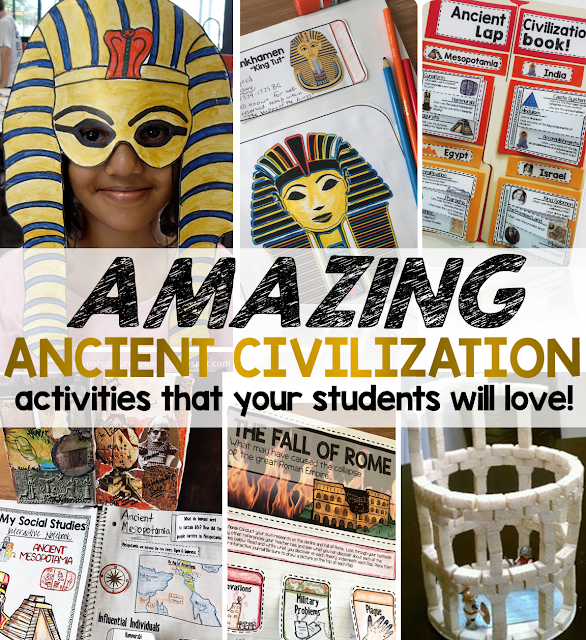 The Ancient Civilization series has a combination of written activities, coloring, drawing, and creating. 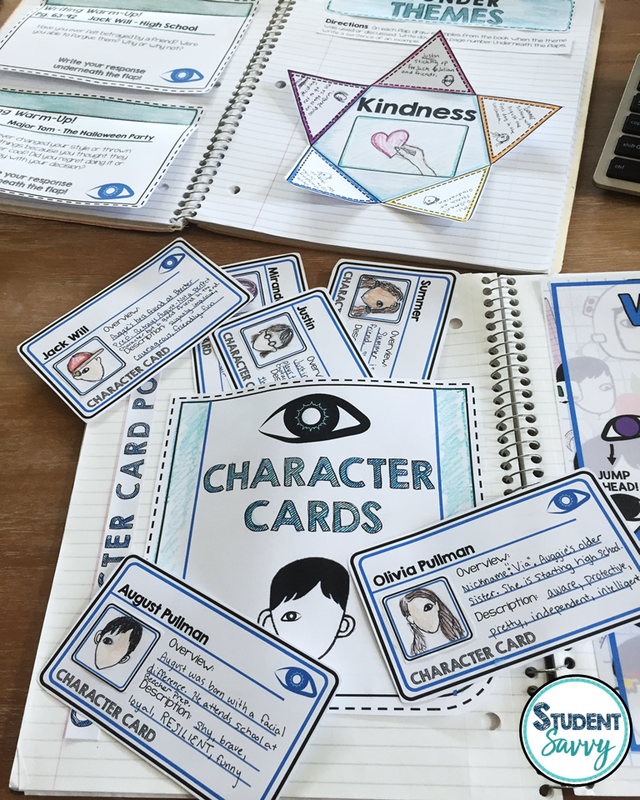 It allows for students’ own ideas and interpretations rather than just filling in the blanks. 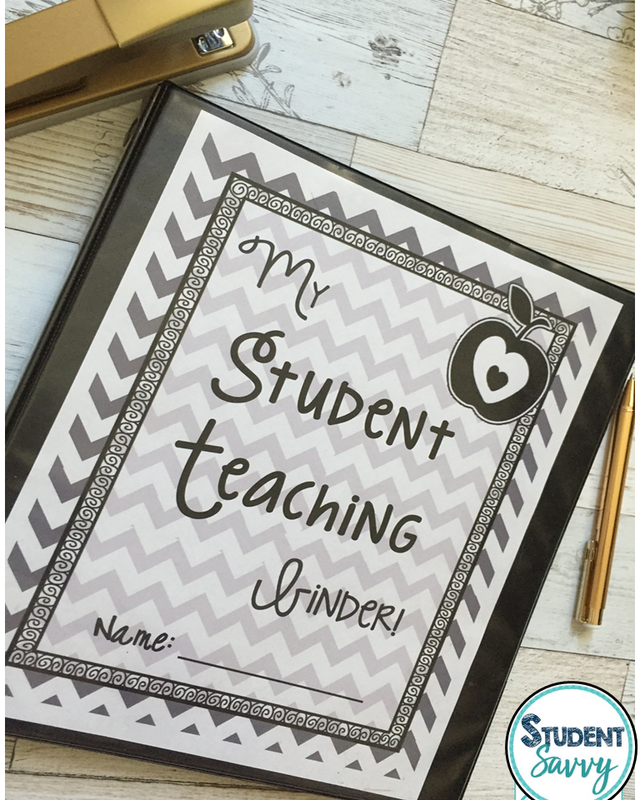 They can be used alongside your school’s current curriculum as supplemental material or they can be stand alone resources as well! If you are convinced your students would love creating an Ancient Civilizations interactive notebook throughout the year, check out this complete curriculum series. 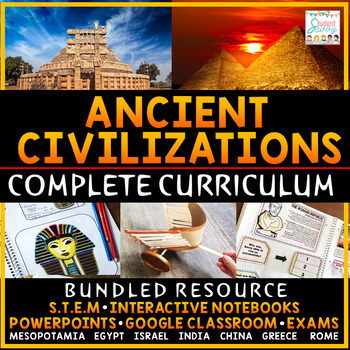 It contains over 704 pages of interactive learning material on Ancient Mesopotamia, Egypt, Israel, India, China, Greece, and Rome. 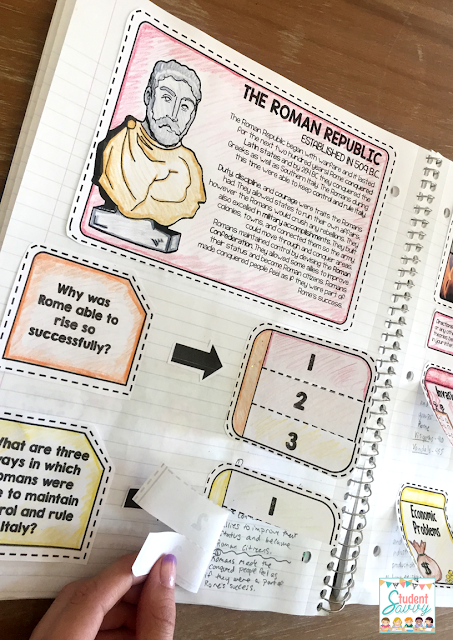 Materials include interactive notebook covers for each of the seven units, reading passages, answer keys, critical thinking and analysis questions, foldables, flaps, timelines, graphic organizers, and more. Ancient Greece Chariot Race Challenge! Using a list of supplies, students must engineer a model of a chariot. The chariot must have functioning wheels where the contraption can be pulled around while the wheels spin. Ancient China, Great Wall of China Zipline Challenge! 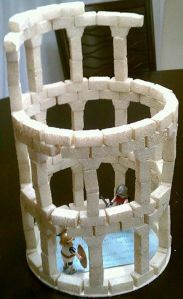 Students must engineer a model of the Great Wall of China. On top of the guard towers, there must be a zipline apparatus where an object can travel from one tower to the next by using a pulley that attaches to a string. Ancient China, Erhu and Ruan Challenge! Using a list of supplies and an information page, students must design either an erhu or ruan instrument. The instrument must be able to produce sound and the strings must produce a variety of pitches. 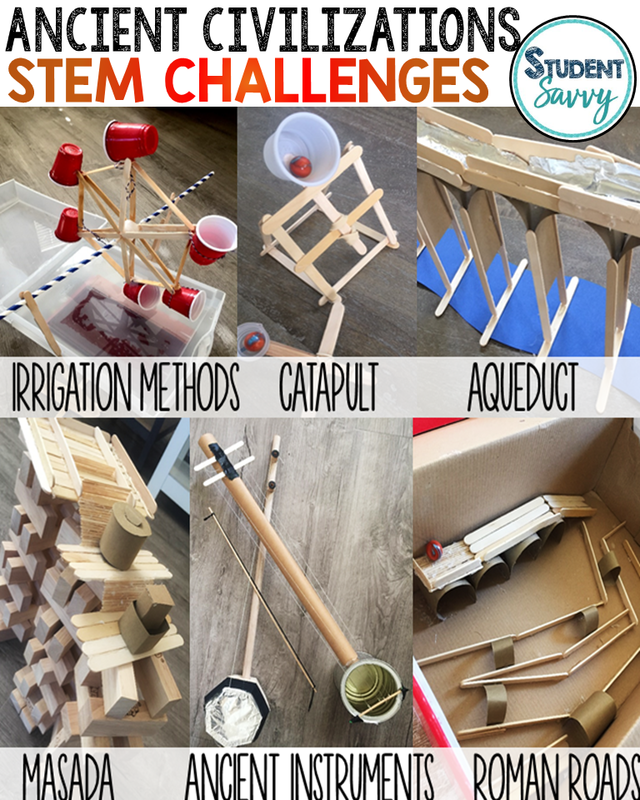 13 Cross-curricular STEM challenges for students who are studying Ancient Civilizations! 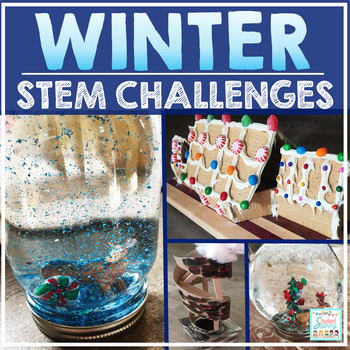 These resource has science, technology, engineering, and measurement activities to do with your upper elementary kids that will really enhance their learning! 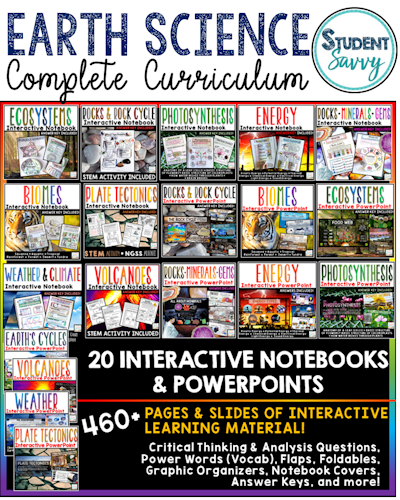 Discover these resources here! This is a fast-motion screen capture of the Ancient Civilizations Interactive PowerPoint Series! 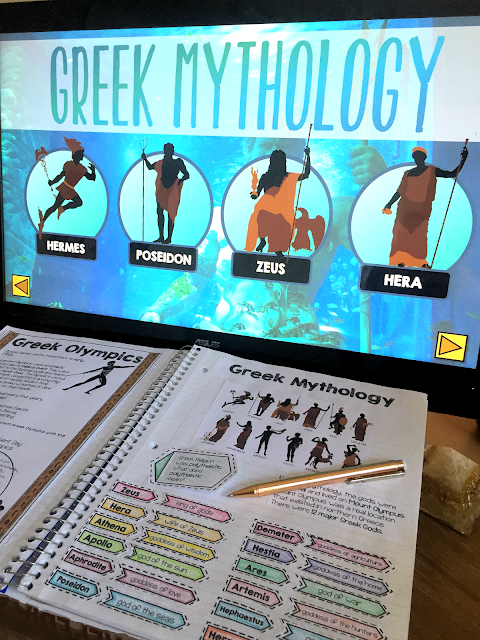 These teaching resources are quite the virtual experience! 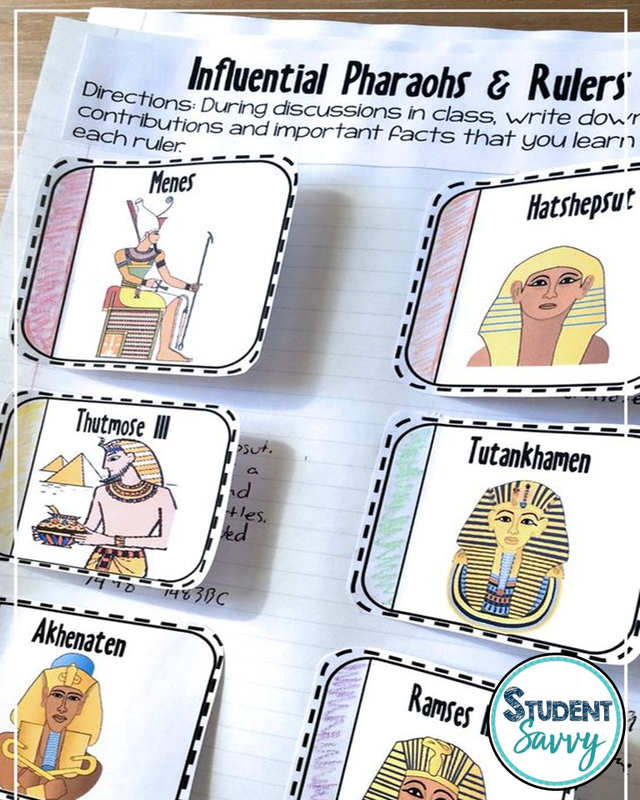 The Ancient Civilizations PowerPoints can be used as powerful classroom presentations or students can click their way through them. Discover the Ancient Civilizations Complete Curriculum resource here! 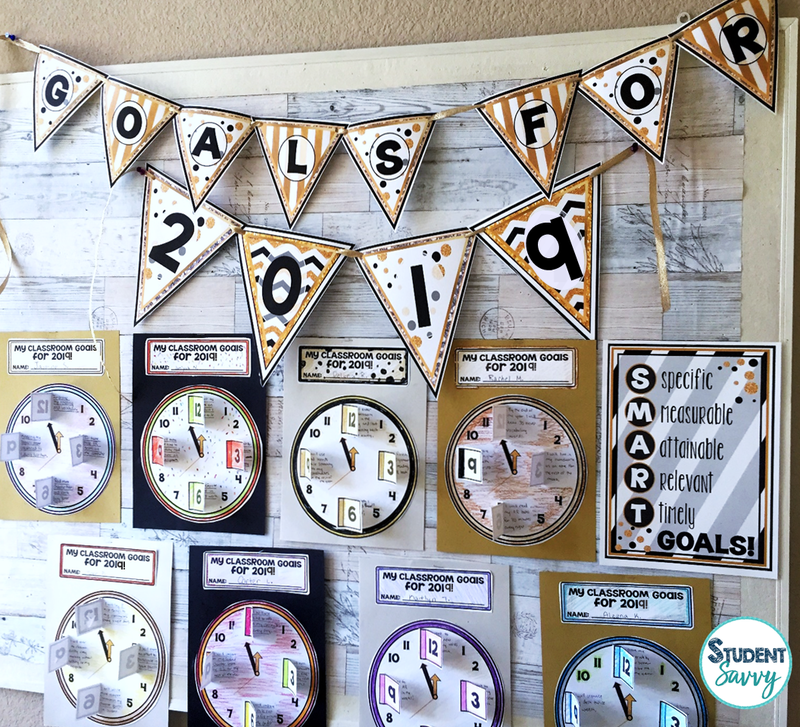 LOVE Your Classroom in 5 Simple Steps! 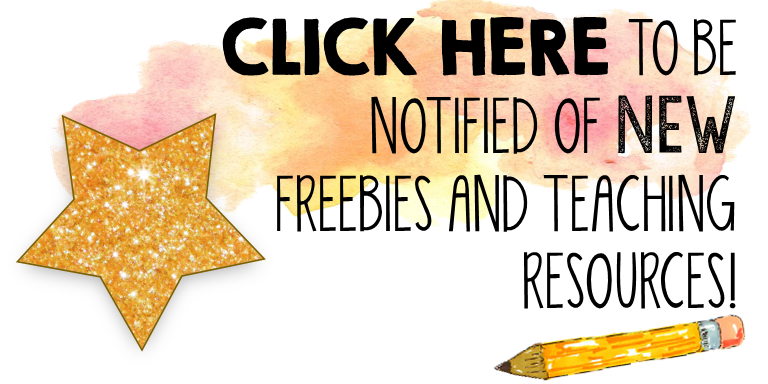 BEST YEAR EVER – Back to School Sale on TpT!